Cut 1/3 of top off each pepper and scoop out insides. Place the peppers on a plate and microwave 2 minutes to soften. Combine, cheddar cheese, cream cheese, chicken or turkey, salsa verde, garlic powder, salt and cajun seasoning in a medium bowl and mix until creamy and well blended. Spoon the mixture into the jalapeños. In a small bowl, combine the pork rind dust and cajun seasoning. 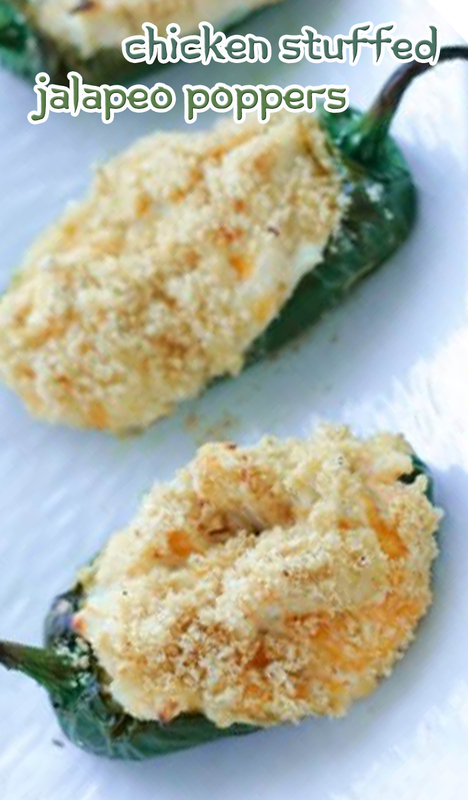 Gently roll the cream cheese side of the stuffed jalapeños in cajun pork rinds until coated. Bake at 400 for 20 minutes or until golden brown and bubbling.